Does the thought of putting together an extensive timeline of who goes where and when totally stress you out? If it does, you are not alone. It’s quite the task to try and figure out exactly how much time each activity is going to take, how much buffer time to build in, and how in the world are you going to get everything accomplished before the ceremony, much less within that 8 or 10 hour timeframe you’ve got your photographer for? I’ve got 4 words for you — you. can. do. it. I’m going to let you in on my top secret formula for building the perfect timeline for my brides. It involves a little math, some prep work, and one detailed list (because you know if it’s coming from me, there will be a list involved!). 1. Start with the ceremony + sunset times. The ceremony is an obvious one, but it’s also super important to make a note of the sunset time if you want those gorgeous golden glow photos. Often, this requires a quick minute away from your reception, but I promise you it is worth it. We can take as little or as long as you want, but I recommend between 10-30 minutes on average. This is especially important if you didn’t have a first look, or if there wasn’t a scheduled time for separate Bride + Groom portraits earlier in the day. 2. Add in length of ceremony, desired start of reception, and family formal times. The best time for family formal photos is after the ceremony. Some people who have had a first look will request family formals prior to the ceremony and that can work, however it’s important to remember that you and your bridal party will likely be ‘hiding’ away about 45 minutes prior to the start of the ceremony in order to avoid those early arriving guests and also just to give yourself some time to refresh before the ceremony. That means that everyone you want in your family formals will need to be there at least an hour (more likely an hour and a half) before the ceremony for photos. c) schedule at least 20 minutes of Bride + Groom portraits. 3. Add in any travel times. Trust me, you do not want to forget these. And be sure to accommodate for traffic. Share your timeline with everyone, literally everyone, and make sure that they know when to be there and give them addresses of where to be, along with the cell phone number of a point of contact they can reach in an emergency (someone that’s not you though!). Talk to your Hair and Make-Up Stylist about how much time they need, they will definitely need to start before the photographer gets there. If your friends/groom/family/etc. have a tendency to run late, don’t feel bad about telling them a way earlier time to be there than you really need them! and lastly, things will probably go wrong and you might run late – it’s okay! I’ve done weddings with only 5 minutes for Bridal Party photos and they still had plenty to choose from. When you hire a professional, you get their experience and their ability to work under pressure. Any situation can be handled, literally anything. Like I’ve said before; at the end of the day you’ll still be married to the love of your life, and if you’re not? I will personally drive you to the closest airport to hop a flight to Vegas. 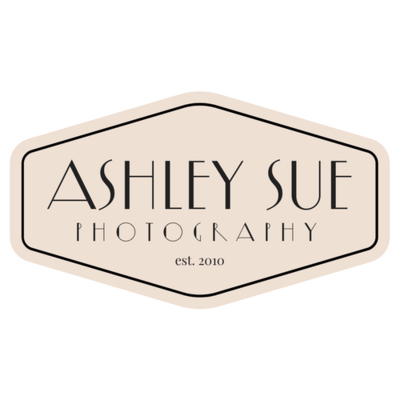 Ashley Sue is a Charlotte based High Country Wedding Photographer specializing in capturing the moments in between the posing. Ashley is energetic, optimistic, and a perpetual romantic. While Ashley has photographed weddings nationwide from simple church ceremonies to elaborate ballroom receptions; Ashley’s authentic + joyful style shines brightest in outdoor locations and architecturally rich surroundings in the High Country of North Carolina.